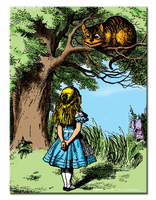 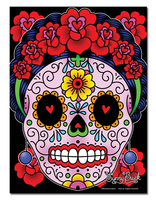 Yujean metal signs--our most popular, hot selling art, on heavy gauge printed metal, at a generous 11 x 15"size--perfect for anywhere you want to enjoy great Yujean art! 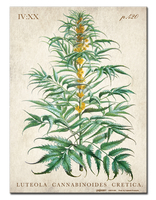 Predrilled for easy hanging with just a couple of nails, and protected with shrinkwrap, these signs are a great gift item. 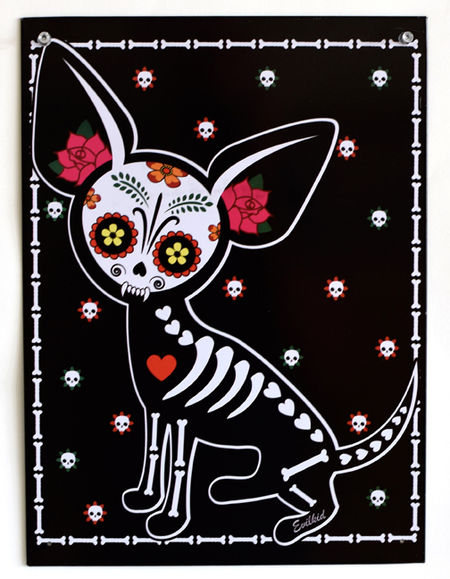 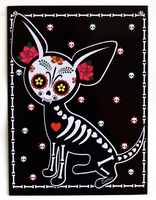 Evilkid's uber cute Chihuahua Muerta is a Day of the Dead icon, and a fantastic piece of art for your walls!